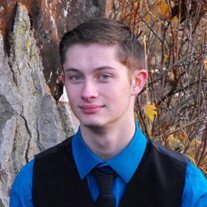 Calvin August Wilkens, 17, of Anchorage, Alaska, died on October 25, 2018. 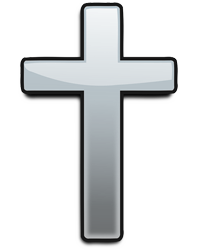 Interment with committal prayers will be at 11 am on Saturday, Nov. 10th, at Zion Lutheran Cemetery, Taylor Ridge. A funeral service was held at Zion Lutheran Church in Anchorage on Nov. 1st. Memorials can be made to the Robert Wilkens family. Wheelan-Pressly Funeral Home, Milan is assisting the family. Calvin was born to Robert and Sue (Mallder) Wilkens on April 29, 2001 in Rock Island. The family moved to Anchorage a few weeks later. Calvin was a senior at Bartlett High School. He was a member of National Honor Society and was in the Bartlett orchestra. He studied German and traveled abroad with a Bartlett group last summer. He had played hockey for many years with Anchorage Hockey Association and one year for Bartlett. He loved art, music, playing cello, and had recently discovered shopping. He was thoughtful, creative, intelligent, and had a unique sense of humor. He leaves behind his parents, Robert and Sue Wilkens; his brother, Logan; grandparents, William and Marjorie Wilkens and Willard and Barbara Mallder. Other relatives include, aunts and uncles, Bill and Connie Wilkens, Shelly and Patrick Koch, Tim and Vicki Friedrich, Doug and Kathy Anson, Darrell and Wanda Potts; as well as many cousins. Calvin was baptized and confirmed in the Lutheran Church-Missouri Synod and attended church weekly. Calvin was a joy to all who knew him, and he will be sorely missed until such time as we are reunited in the resurrection.